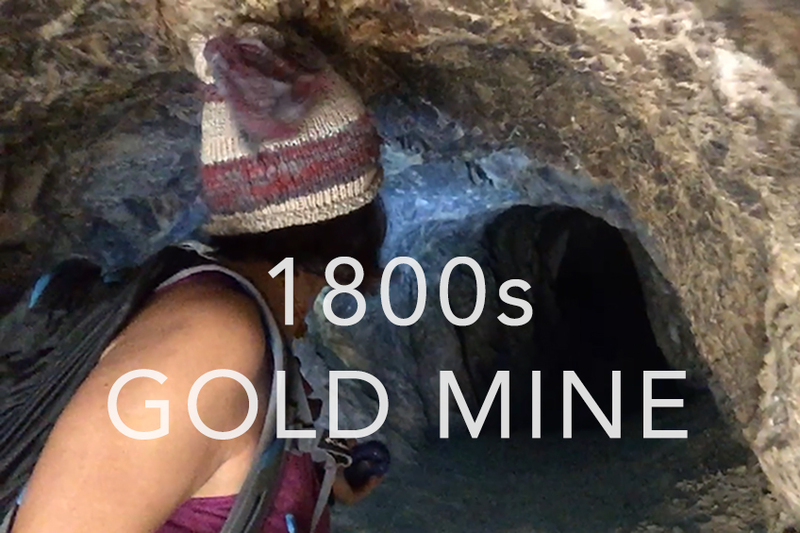 Hike to a real 1800's gold mine. This is a guided 6-mile round trip hike through the Los Angeles mountains wilderness. The hike starts on a high ridge with expansive views of the city and the canyons. Then we descend to the canyon floor and follow the water upstream. There is a trail, but it is rugged and there will be a some boulder hopping. At times you will need to use your hands. There is no real climbing on the trail, but be prepared for an intense and exciting wilderness adventure! The Dawn Mine was claimed in 1895 and produced gold through the 1950s. There are two mine shafts as well as various pieces of antique mining machinery remaining at the site. It is nestled in its own wilderness setting. No information tourist plaques, just wilderness and evidence of industrious miners working hard with the rock, hoping to strike it rich! The trail is absolutely beautiful and the mine is a wonderful example of a small California mining operation on par with any you would see in the California Gold Country. +/- 6 mile hike. Moderate difficulty with some fun boulder scrambling and creek crossings. What is provided: Guided hike, lunch, snacks, and water. Plus Adventure Pass for your car to park at the trailhead. ​ TWO PERSON MINIMUM: $60 ($30/person) ​INCLUDES: Guided hike, lunch, snacks, water, and parking pass. Important Information: Email Angeline trailblazer@hiddentreasuretrex.com to book your date. Prepare to hike 6 athletic miles on uneven terrain. Bring sun protection. MUST WEAR ATHLETIC SHOES to participate. Bring backpack. Must sign Liability Waiver to be provided.